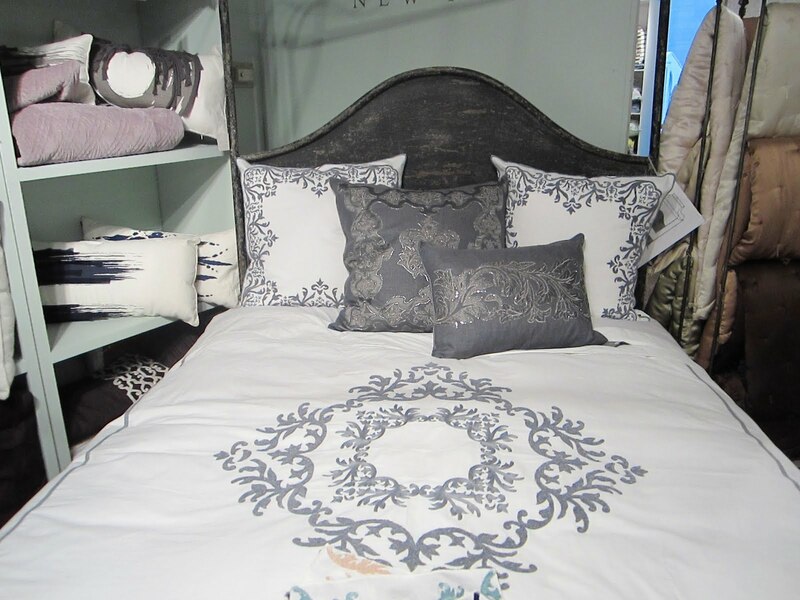 MAKE YOUR BED – DREAMY LUXE LINENS! Before you go any further…I recognize the last two posts have had the word “dream” in the title. I am not losing my creative gene nor am I at a loss for words (all who know me can attest to the latter)…I just think the word “dream” has summed up a lot of what I have been experiencing over the last few days. Wasn’t there a song….”dream dream dream….blah blah blah blah blah blah all I want to do is dream”? Is that right? I don’t know but I think if a song can repeat the word dream a million times in one verse…I can have two posts in a row that say “dream”! Right? Wrong? Pointless? I know. Bear with me. It is Monday. 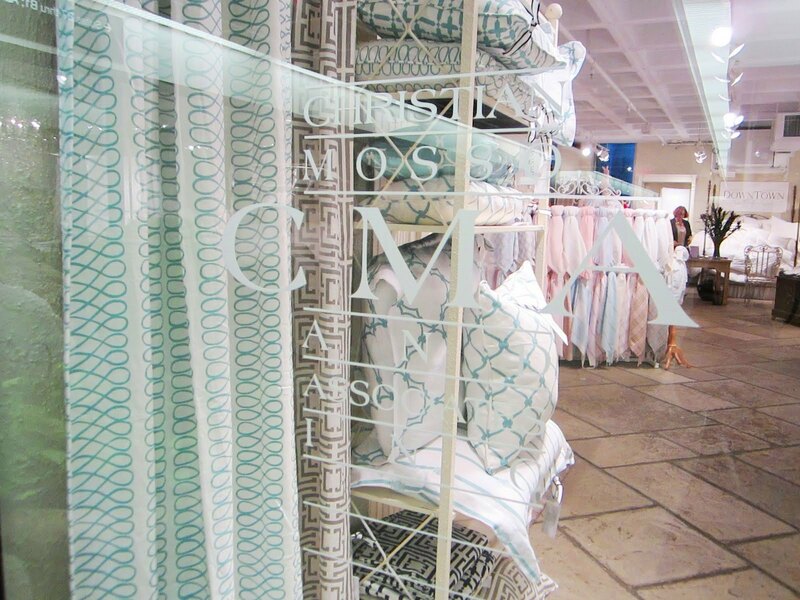 So, have spent the last few days surrounded by luxurious linens at the Christian Mosso & Associates showroom in Atlanta. I am thrilled that the COCOCOZY collection is also in this prestigious showroom amongst a group of amazing textile manufacturers…many of the biggest names in bed linens (all creators of some of the finest sheets, duvet covers, blankets, pillows, shams and more). The Christian Mosso & Associates showroom is huge…I think it is 20,000 square feet. 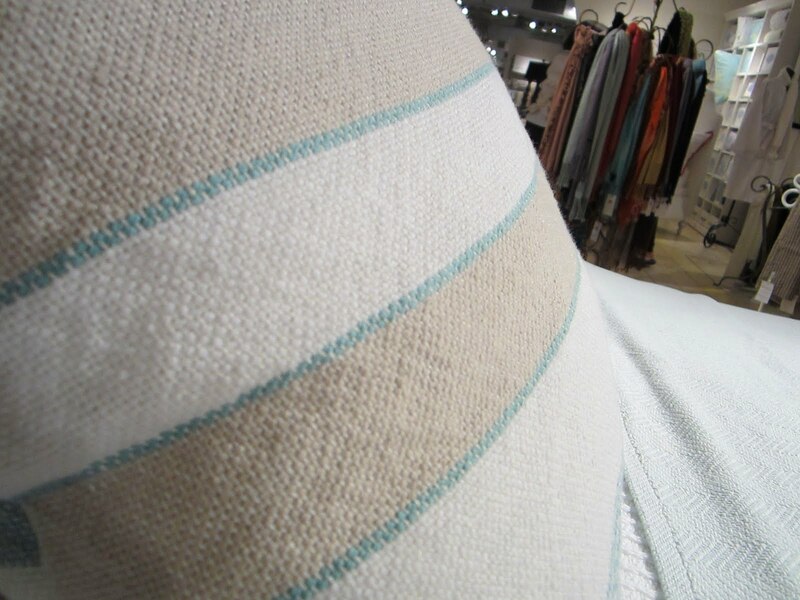 Each line of textiles has its own section and its own look…but all work well together. 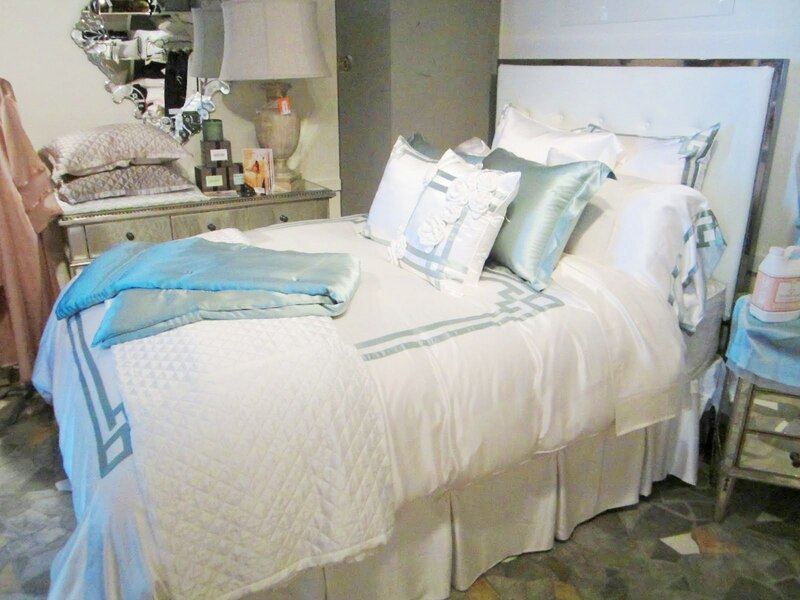 Husband and wife team Christian and Laura Mosso hand picked all of the collections they represent…a “club” of sorts of the best of the best in linens. I’ve so enjoyed showing my collection for the first time in Atlanta in this showroom. I have also enjoyed wandering back and forth through the showroom seeing all of the collections…dreaming…coveting…admiring. So many different looks. So many ideas. 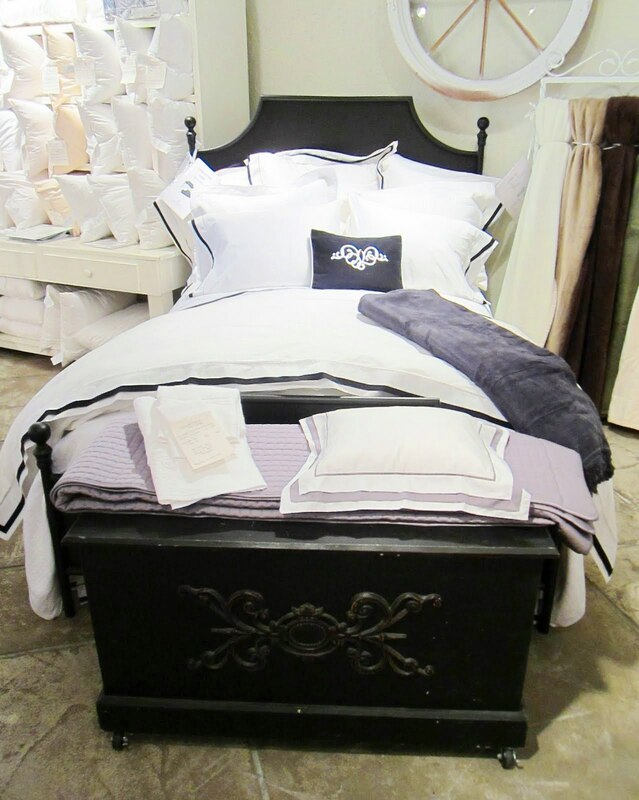 The coolest thing about the Christian Mosso & Associates showroom is that there are dozens of bed vignettes to see…all of the different bedding is shown on Corsican metal beds. 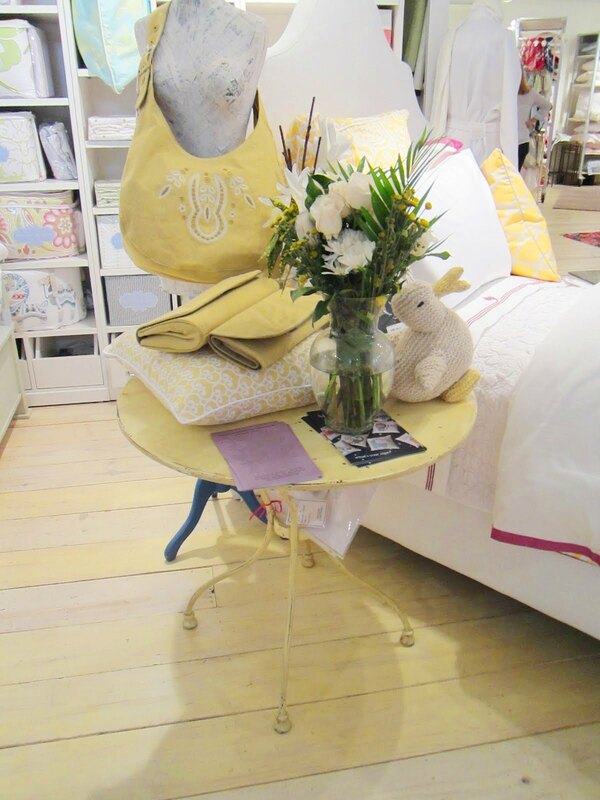 I had some fun throwing my COCOCOZY shams and boudoir pillows on one of the vignettes from Downtown Company. Was so great to see my bedding “in scene” so to speak. In January, in addition to my pillow and throw display (see previous post) I hope to have my own COCOCOZY bed to show as well in Atlanta! 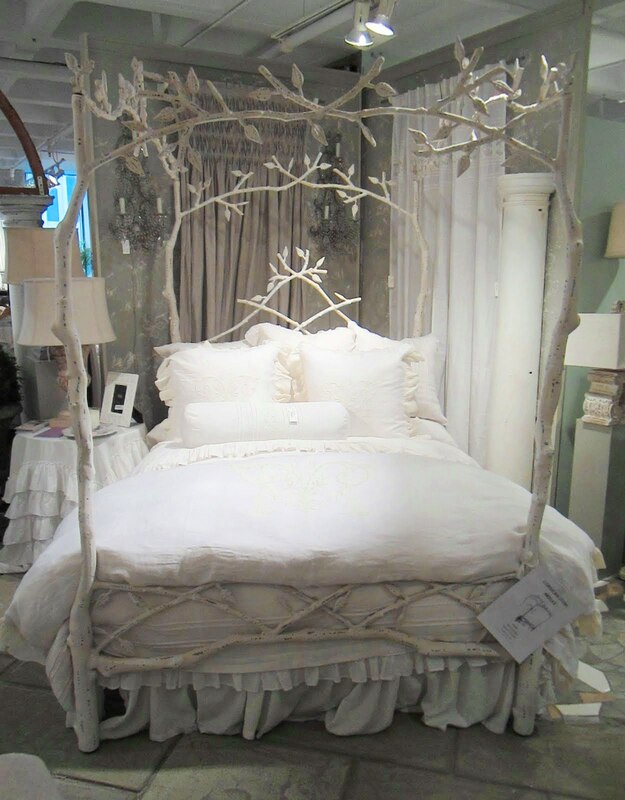 Since I’ve had so much fun perusing bed heaven in the CMA Showroom…I thought I would let you take a peek and pick your favorite bedroom style. If you could chose, how would you make your bed? 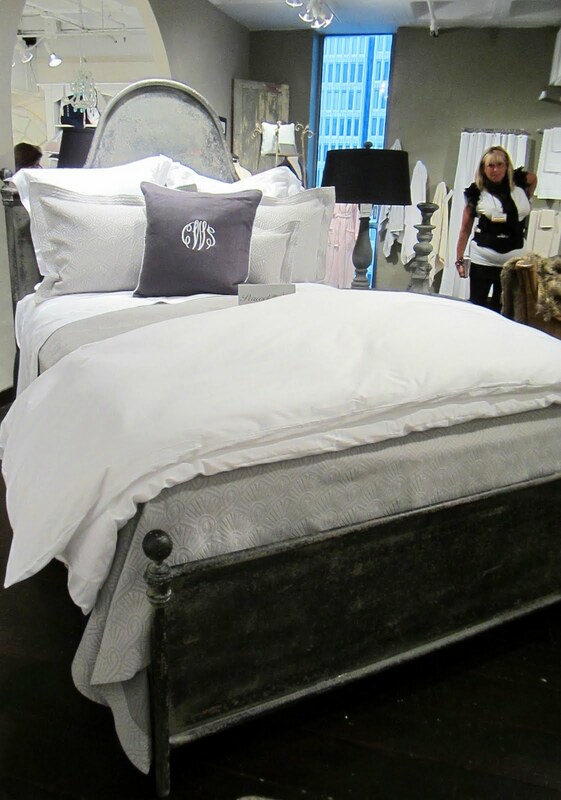 Another grand bed this time in gray and white from Peacock Alley! Which of these beds is your favorite? 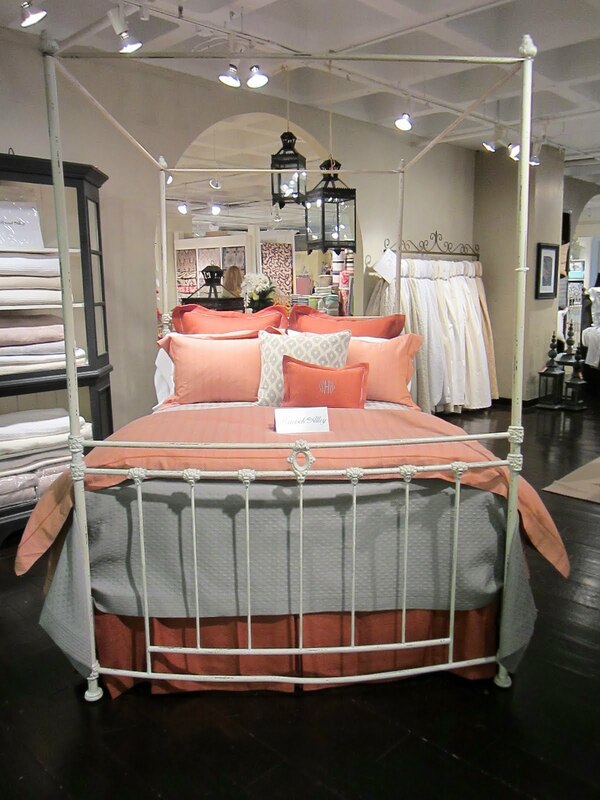 Which resembles most what you currently have in your house and which of these is your dream bed? P.S. Have met so many wonderful COCOCOZY readers in Atlanta…a number of talented women who are in design and who stopped by to say hi. It has been such a thrill. Had so much fun talking to Kathryn from Georgia and Denise from Dallas yesterday…among so many others! I’ll be back in the showroom this morning, then dashing around the gargantuan Atlanta America’s Mart snapping photos and shopping and then on the hunt in the cash and carry section for a cheap sparkling key chain (will explain later). Then best of friend JH is driving in from Columbia, SC to have dinner with me tonight. So excited! Please stop by the showroom this morning if you are in Atlanta. I should be there for a few hours. P.P.S. To see what others have chosen as their bedding favorites…click on comments below…also go to COCOCOZY Facebook to see what followers there have chosen too! 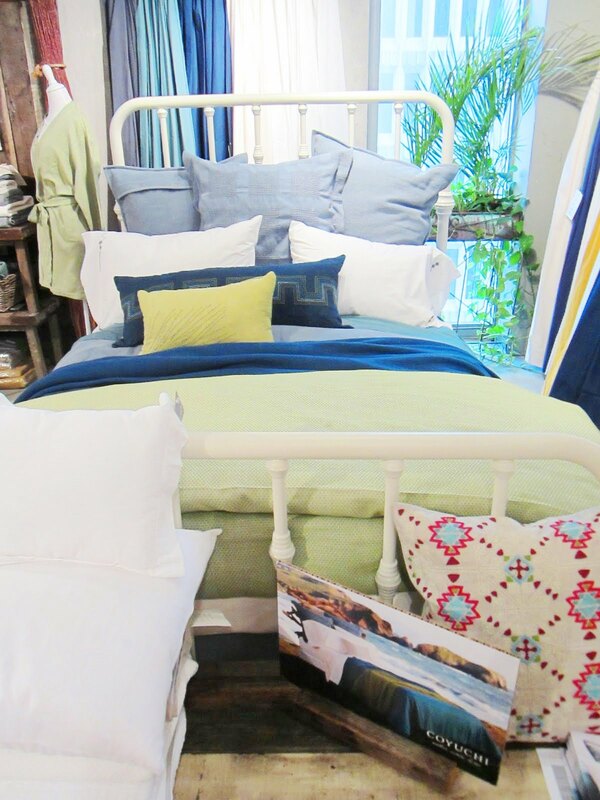 So much fun to see which are your favorites in bedding! P.P.P.S. Had a lovely dinner with Peter and Jane last night. A very talented and successful brother sister duo who I work with on a project of mine. What amazing dinner conversation and such a nice night. Thank you for dinner Peter! All are absolutely gorgeous.. there is a few I would love as my own..
As for the song ‘All I have to do is Dream’ Everly Brothers.. Awesome! 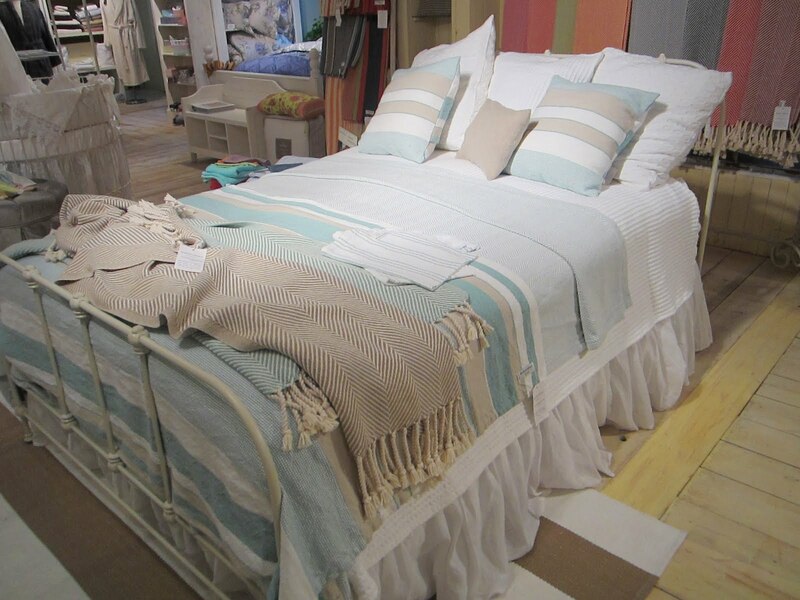 Such pretty bedding! I love the yellow and fuchsia! But for my own bedroom I’m definitely a neutral kind of girl! What a gorgeous place to be!! Tough to choose between Romantic and Sophisticate…maybe I’m a little of both? Is there anything better than a well made bed? I love that you are working so hard but having a wonderful time doing it. Good for you, have a great day! Thanks for the virtual shopping trip! I always love Peacock Alley products!! 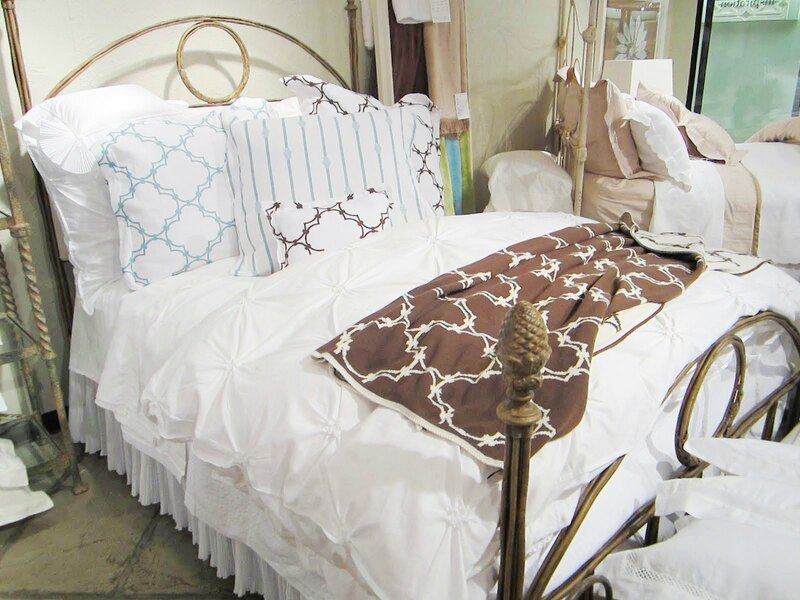 All of this bedding is so pretty. I would love to have it all! That’s so fun! I’d say Romantic all the way but they are all different and fun to see. Great post. Thanks for sharing. 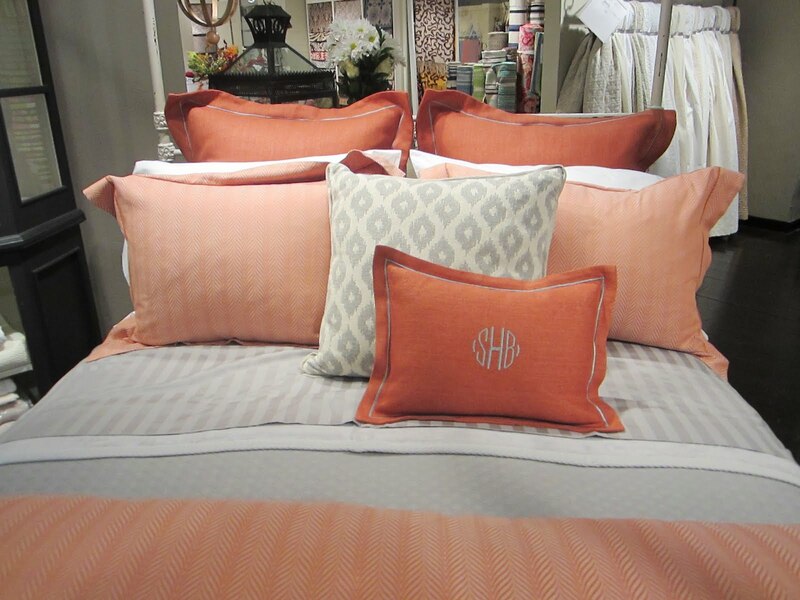 Coral and gray is such a pleasing color combination, and HOT this season!! Who doesn’t love it!? Other than that I really like the elegance of The Sophisticate and Downtown Chic. Can’t go wrong! 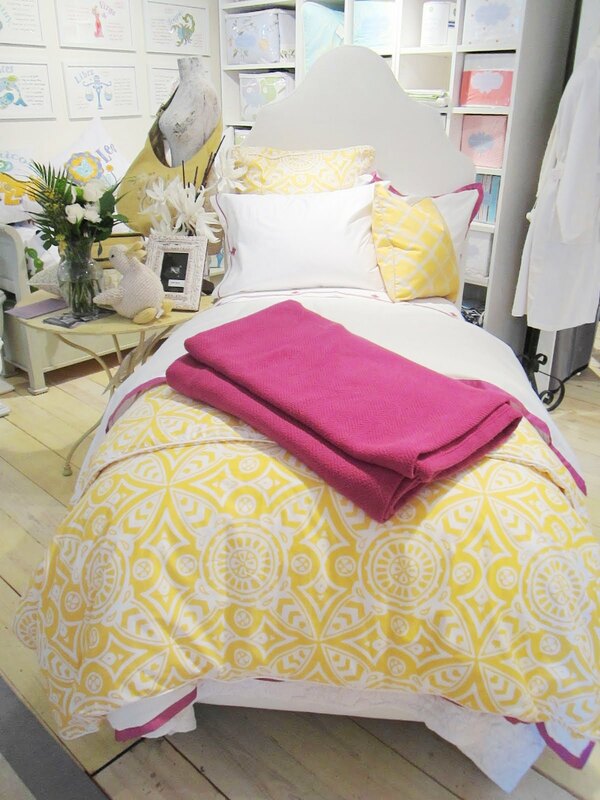 Totally loving Serena & Lily’s twin bed vignette with yellow graphic duvet cover and pillows! Loving yellow lately so this one really caught my attention. That splash of fuchsia is pretty too! 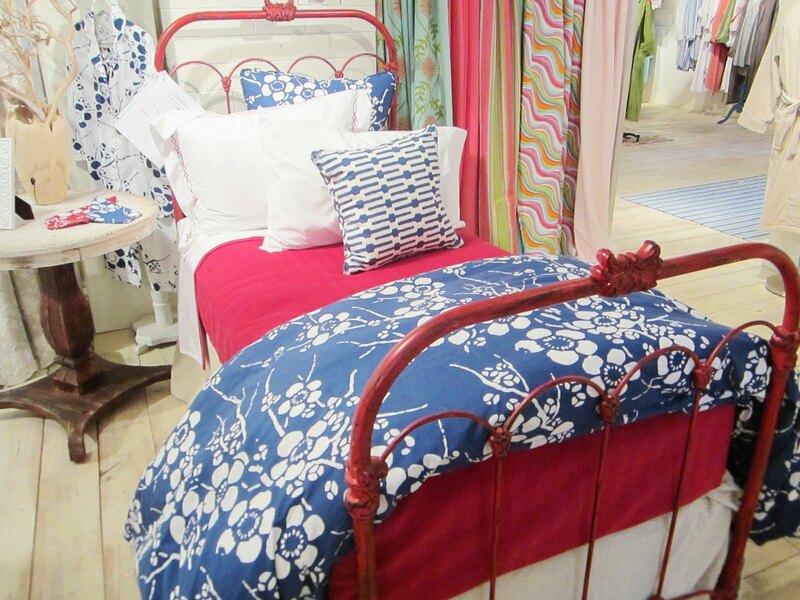 I love the Serena & Lilly bed. The yellow is so happy and fresh! What an amazing showroom! You’re in good company! 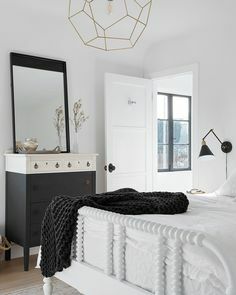 Loving almost every single one of those beds! 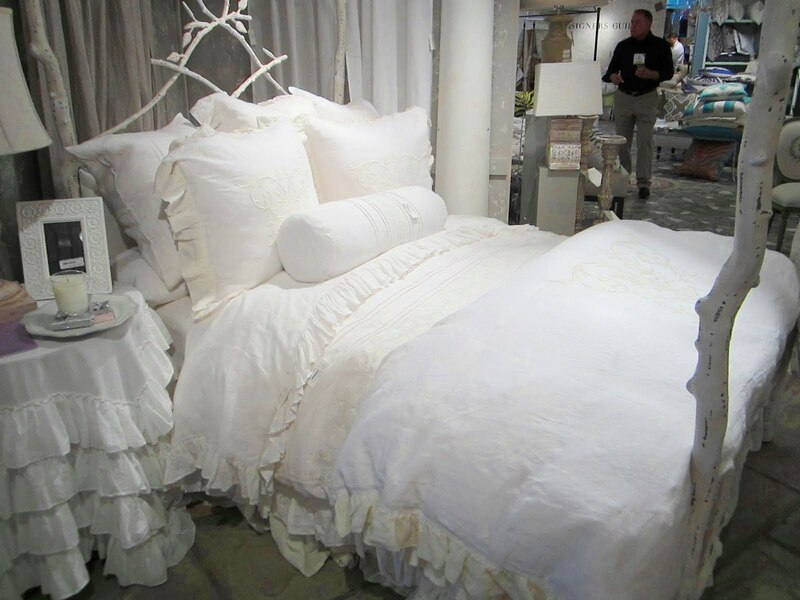 I have always had shabby chic style bedding so I appreciate the light linen colors but like the bright splashes of color. Amazing collection, all of them are really very nice, i will definitely visit their store to check these beds and i might buy a new one for my son, thanks for sharing this.